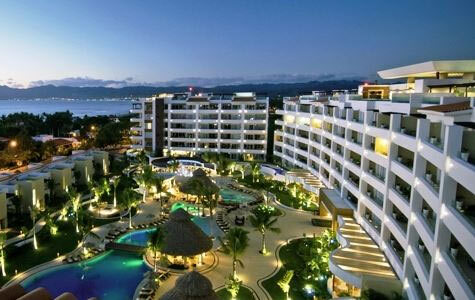 Enjoy award winning all-inclusive value at Marival’s elegant and enchanting beachfront properties in Vallarta-Nayarit. 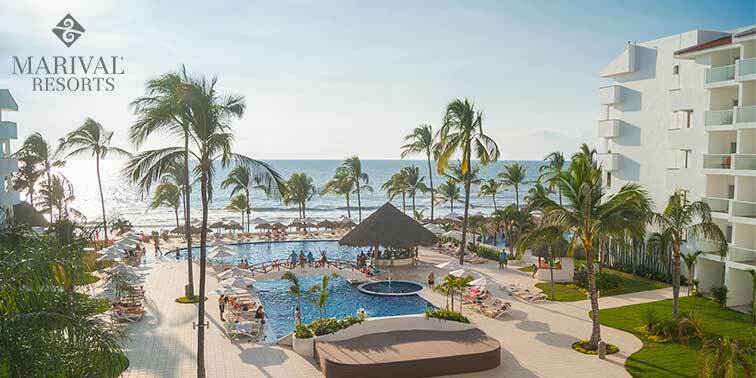 Have all-inclusive fun at Marival Resort and Suites or indulge in all-inclusive luxury at Marival Residences Luxury Resort, Nuevo Vallarta, Riviera Nayarit. Enjoy the cascading pools, lush gardens and bring the kids along to Rancho Banderas All Suite Resort. The kid's will enjoy activities like rock climbing, camping and mini-golf. While adults will enjoy gourmet dining, dynamic bars and more. Posh bedrooms, gourmet dining, private VIP Beach Club and kid's pool. 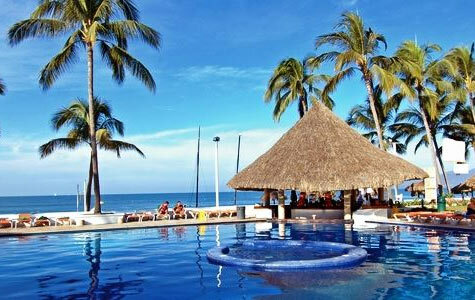 Plus excursions like swimming with dolphins and sunset cruises. 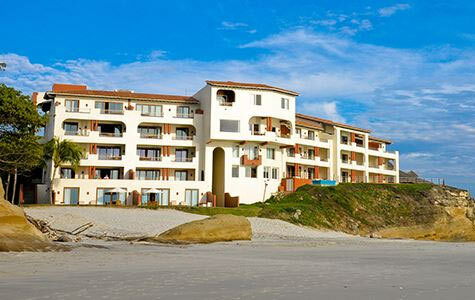 The resort consists of luxurious villas nestled on red sandstone bluffs that rise from the beach and fit naturally into the landscape.